Clos Dalian 2014 Garnacha Blanca, Terra Alta, Spain 12.5% ABV. Deep Straw in color. With an aromatic nose of pineapple, white peach and pear. In the mouth, bracing acidity followed by long lasting and rich lemon, dominant on the palate Residual notes of sodium, granite, clay and petroleum. A solid expression of white Grenache grape, suited to help quench the hot spanish sun, early evening tapas, and complementing salads, shellfish, white fish, white meats, cheese or light pastas. Color is deep ruby with a purple center. The prominent nose of dark fruit and wet stone leads into the mouthfeel of black cherry, black plum, and green underbrush with notes of loamy earth, silt, stone, and toasted young oak. 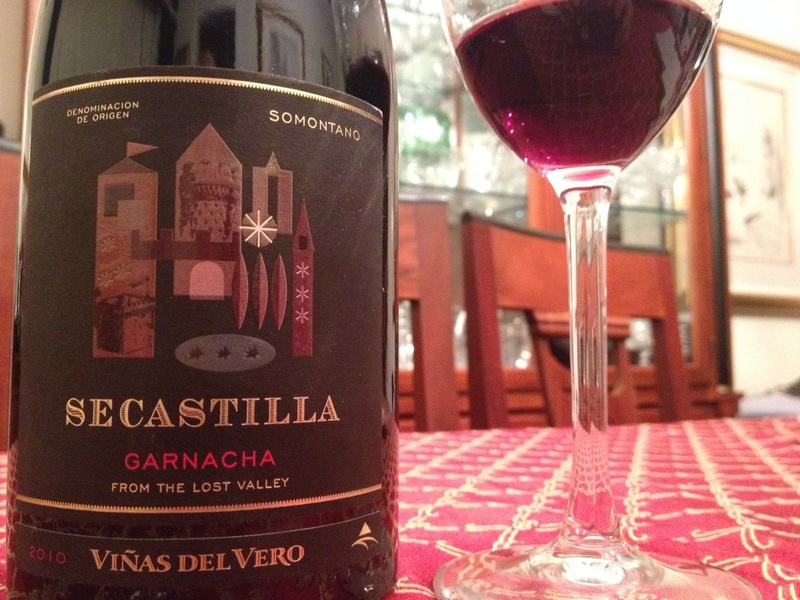 Viñas Del Vero’s Secastilla Garnacha 2010, Somantano, Spain. 14%ABV. Color shows a garnet center with deep purple edging. A large nose with black fruit, a touch of funk, aged tobacco leaves and forest floor. On the palate, reserved dark fruit gives way to smooth tannins enveloped in a series of notes that come after the hidden acidity springs forth: black earth with clay and mineral-rich soil. A clear-cut result of deep-rooted, older vines and some decent age on a well-conceived wine, a good demonstration of how Garnacha evolves. Solid value. My favorite, and a huge hit of the virtual tasting. The spanish wines we tasted remind me why I love this grape and how flexible and expressive a grape it can be. You might think you love Châteauneuf-du-pape without realizing you love the main ingredient, grenache. #GarnachaDay is an excellent reminder of both the amazing wines from Spain as well as the fabulous wines worldwide that owe their backbone to garnacha. 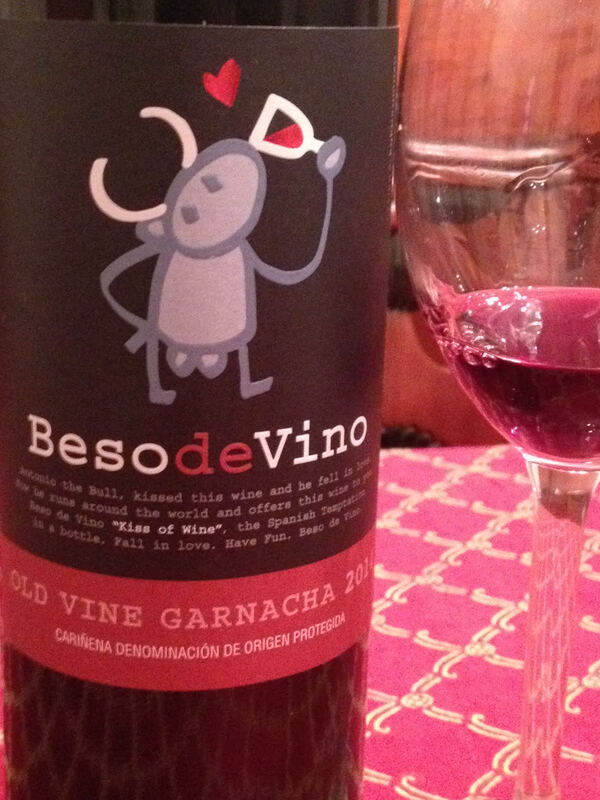 What’s your favorite garnacha/grenache wine? From the Rias Baixas region of Spain, alcohol 12.5% by volume. $11.99 at Austin Wine & Spirits, Forest Hills NY. With a light straw color and a citrus nose featuring a touch of wildflowers. 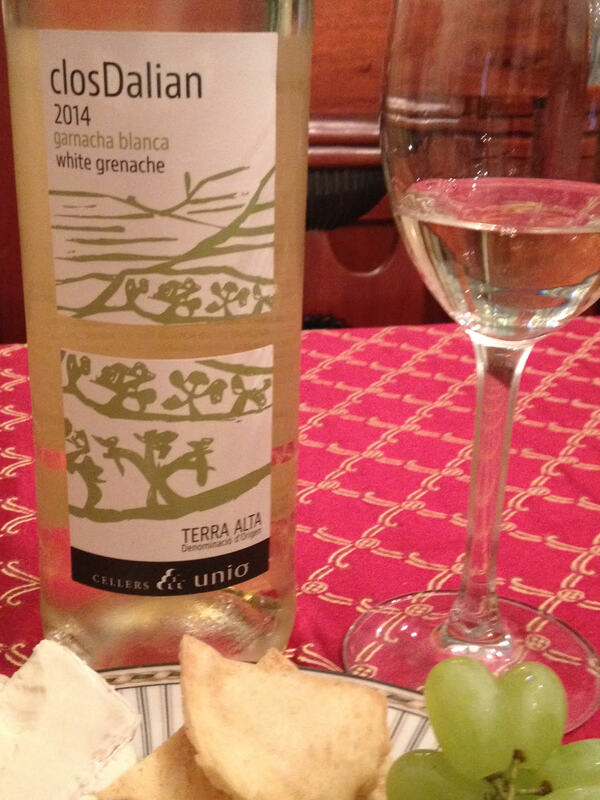 Pear, apricot, and peach notes with plenty of acidity to keep the mouth fresh. Showing a nice tight finish, this paired wonderfully both with an Italian chicken & tomato dish as well as with dried apricot and cranberry. 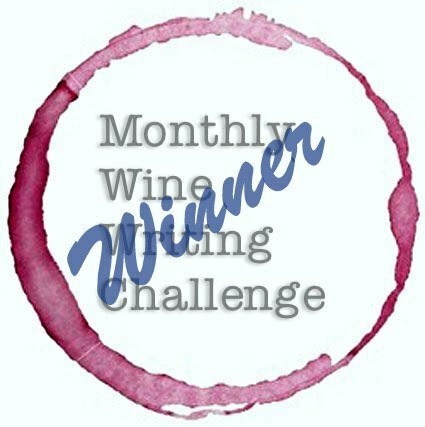 The success of the dried fruit (each brought out similar flavors from the wine) made me think this wine would pair nicely with a fruit appetizer or dessert. 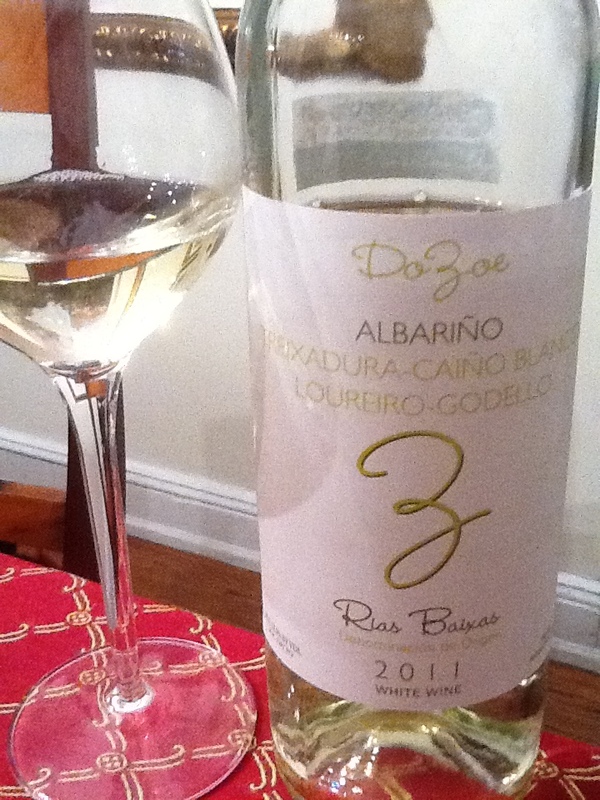 The Do Zoe Albariño is actually a blend of five Spanish grapes, with Albariño as 47% of the blend, the rest from 17-7% each. Albariño , for those who have not enjoyed it before, is Spain’s answer to Pino Grigio or Sauvignon Blanc, and deserves a close look. This is a tasty wine that screams summertime, though I enjoyed it during a winter storm.